As I was listening to this song today that line in the song jumped out at me. Have you ever given that thought or merit when she says that? Has anyone ever asked you that question? 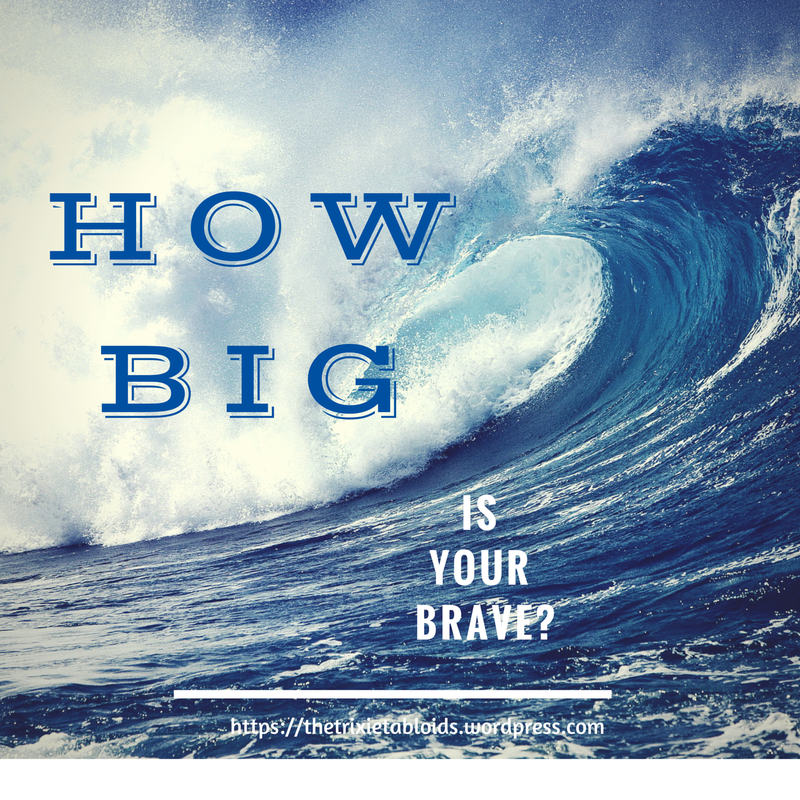 HAve you ever pondered how “BIG” your brave is? You can be anything you want to be. You can be a lawyer, a teacher, a video game designer, a fashion designer, a contractor, a healer, you could even be a superhero if you wanted to…YOU could be amazing. It is up to you. Your words are powerful actions. Those words turn into phrases and they can be amazing mantras and sayings and quotes that people cherish and DESIRE to hear and long to hear from like a rug or they can sting and burn and hurt and cause pain so deep, the emotional scar leaves a a permanent mark. You could be the one who is unloved, uncared for, mistreated, abused, pained, miserable…or. Be cautious of those words and let your words be your superpower for good not evil. Let the words that fall from your lips be of joy and harmony not pain and anguish not grime and complain or bitterness and sarcasm but love and encouragement. Speak up, stand out, be strong, stand for something, do something, stand up for yourself, for others, for things you believe in. Why don’t you tell them the truth?…. Stop filling your brain with the lies you tell yourself. Stop beleiving in those negative thoughts that someone else dumped their negative baggage on you and then forgot to take it with them. Don’t EVER let someone else’s impression of you, thought of you, opinion of you be the deciding factor in who YOU think and KNOW you are! YOU are FABULOUS! Own it! Be Fabulous! Happy Fabulous Friday. Be Brave! I really liked the way you intertwined your thoughts throughout the song.